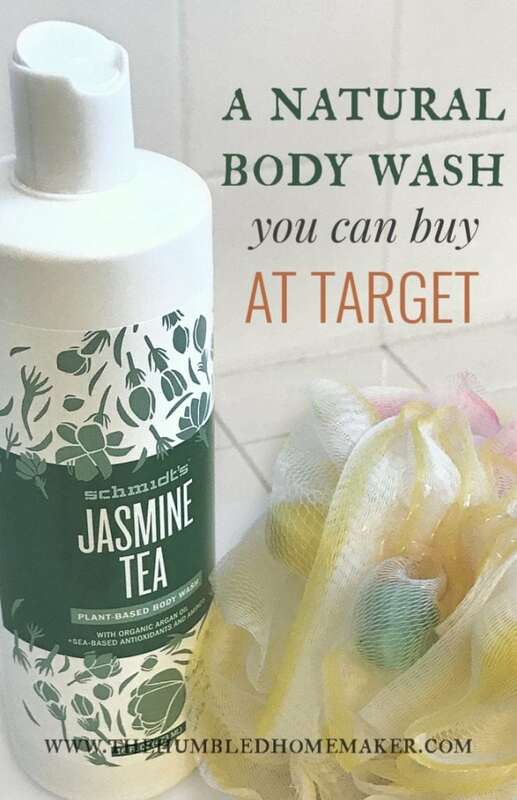 A Natural Body Wash at Target? Yes, Please! Is it possible to find natural products–like natural body wash–at mainstream stores? Thankfully, the answer is now a resounding “yes”! 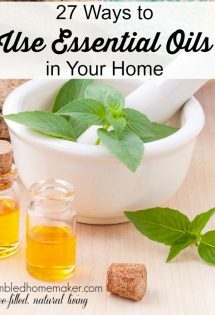 When I first began my natural living journey back in 2008, I was hard pressed to find any natural care products locally or at mainstream stores. 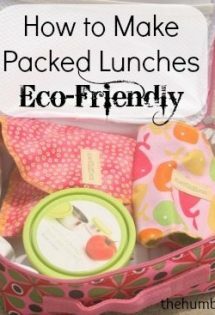 If I wanted to use natural products, I had to either make my own, spend what felt like a fortune (that we did not have!) at health stores, or order them online. If I ran out of something unexpectedly, I was up a creek without a paddle. There was no running to the store on a whim. Mainstream venues simply did not carry natural products. DEAL ALERT: Now through 11/3/18, you can get 20% off Schmidt’s Natural Body Wash at Target with the Cartwheel app! Click here to claim it! Thankfully, as more consumers have begun to demand natural products, mainstream stores have begun to carry some of my favorite brands! After trying and using several natural deodorant brands over the years (and even making my own), I recently switched to Schmidt’s. Not only do I love the ingredients and scents (especially the bergamot & lime), but I love that it keeps my armpits dry! You can image my delight when I was in Target the other day and realized that Schmidt’s is also now offering a natural body wash! I love that the Schmidt’s body washes are made with plant-based ingredients, including organic argan oil plus sea-based antioxidants and aminos. 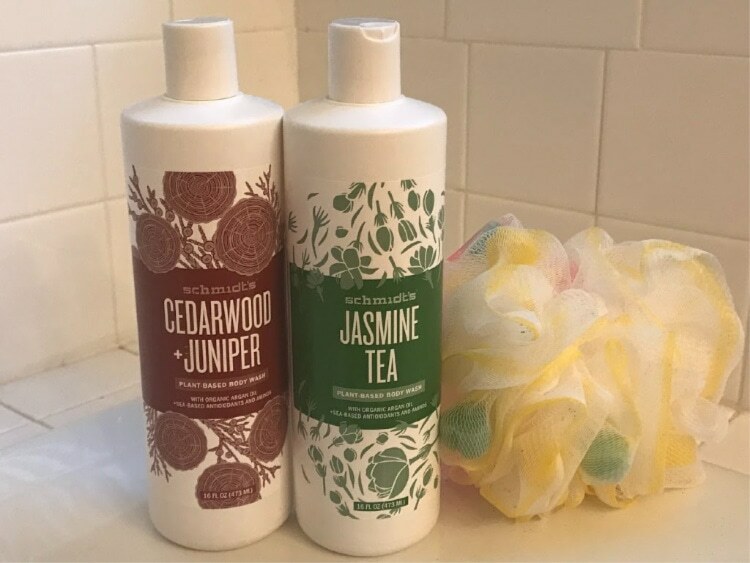 What I love the most, though, is what is does NOT include–these body washes are sulfate, lauryl sulfate, and phthalate-free and don’t have PEG, artificial fragrance, or dyes. 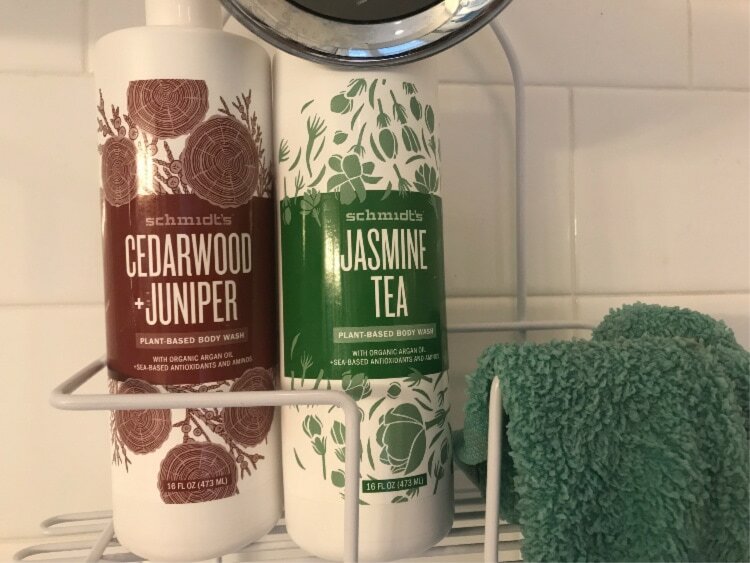 At my recent Target run, I purchased two Schmidt’s Natural Body wash scents–Jasmine Tea for me and Cedarwood + Juniper for Will. 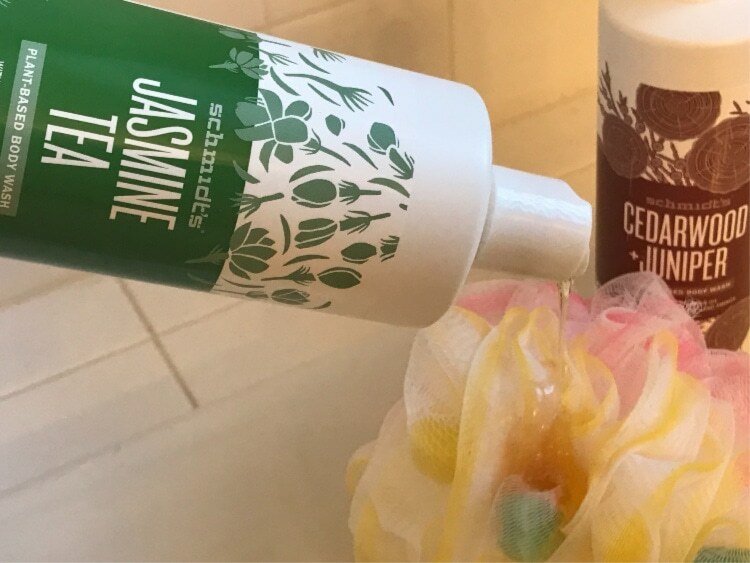 The Jasmine Tea has a more feminine scent, which makes it perfect for me and our girls. The Cedarwood + Juniper has a warm and woody scent, which is more suited to men. Will and I have been using natural bar soaps for years. In fact, it’s been a very long time since we used body wash at all. However, I sometimes miss the ease of traveling with body wash (as opposed to soap which is hard to repack after it’s been used), and I love shaving my legs with body wash, which saves me from having to purchase a separate shaving cream. 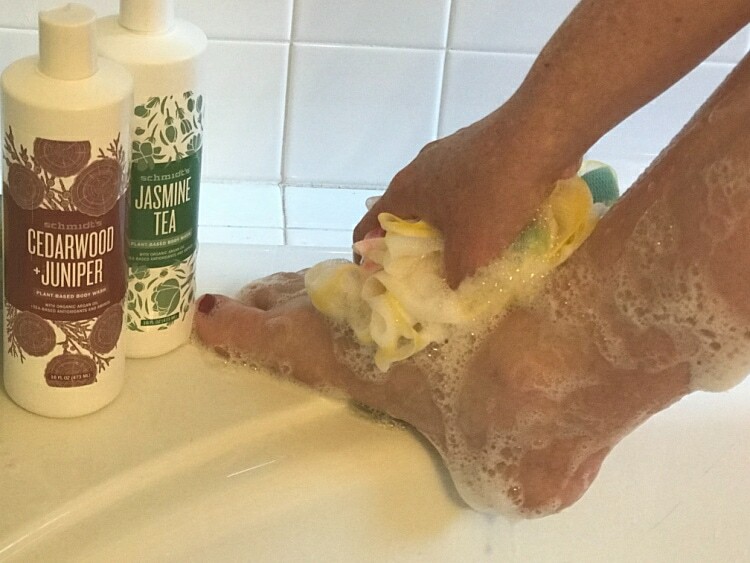 We were delighted to try these new body wash options to add to our natural skincare arsenal. Do you use body wash or soap? Have you found any natural skincare products you love at mainstream stores?